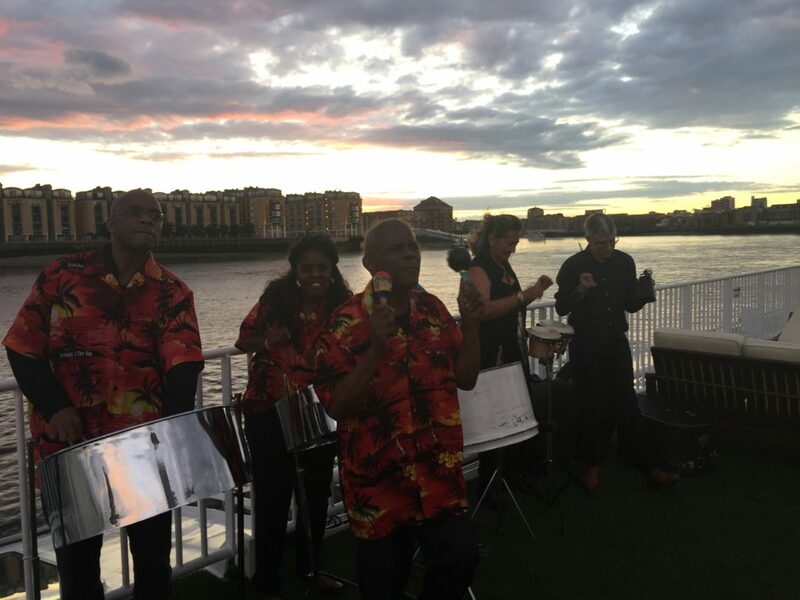 The Carribé Steel- Steel Band Solos, Duos and Trios were formed by John Thomas who has not only performed for the most high profile clients but is also a sought after teacher of the instrument. The bands is available for team building events, school workshops, weddings, parties and corporate events. Hailing from Trinidad, John can easily be recognised as one of the key introducers of the Steel Pan to the UK. The band has appeared numerous times on National Television. They can perform as, duos, trios and quartets to larger more energetic bands. This can be augmented with the use of guitars and keyboards, but they strive to keep it as authentic, acoustic and organic as possible. John performs solo as well for shorter events. The band have performed in Russia, Germany Turkey, Istanbul, Africa, Sri Lanka, Trinidad and Tobago. John has performed on the same bill with Diana Ross, Liza Minelli and has performed live on stage with Blondie. They perform for 100s of weddings and corporate events every year. John also gives private steel pan lessons and is an established steel pan teacher teacher in London schools. The Carribe Steel Band is booked exclusively by Music for London Ltd UK for Performances in London, the rest of the UK and Internationally. London's Most Requested Steel Band for Hire. Available for Corporate Events, Weddings, School Workshops & Summer Parties.